Most mainstream dance films are part of the romantic dramedy genre, but “Black Swan” is anything but typical. This haunting dance movie chronicles the cycle of obsession through three phases: normalization, realization and confrontation. We meet Nina (beautifully interpreted by Natalie Portman), a stunning, talented yet troubled ballerina – she is the new star; an up and comer, slated to dance the coveted role of Odette/Odile. Moving up the ranks from soloist to principal is an exercise in duality itself; excitement and accomplishment coupled with anxiety and nervousness. Most dancers find a way to navigate this new territory, but for Nina, a fragile individual already teetering on the brink of sanity, the consequences of her promotion are disastrously fatal. 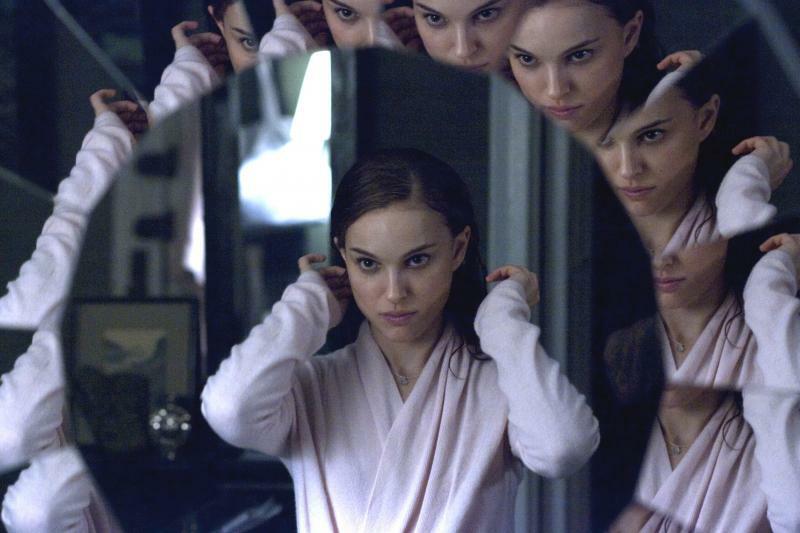 Though set in the world of ballet, “Black Swan” really focuses on the psychology of delusion. One of the first things you notice about Nina is how her compulsive ritualistic behaviors have normalized in her life, almost to the point that the bizarreness has anesthetized into regularity. Despite being rooted in self-hatred and her desperate need for perfection, these patterns have de-emphasized and re-interpreted into normalcy and comfort for her. When these demons are habitualized, they become hard to identify and define and thus, impossible to escape. One particular manifestation for Nina is in the picking and pulling of her skin. Again, the underlying issue here is perfection (or the appearance of perfection), so when faced with a blemish, cut or scratch, Nina is unable to let it heal on its own. Every mark on her body was far more than just a physical abnormality. For her, it spoke of a flawed existence and thus, she sadistically and methodically peeled it all away. But this process of normalization can only last so long. The facade will eventually crumble when you are forced to admit, confront and feel that which you have buried. Nina’s casting as the fractured Swan Queen was the catalyst that released her own fractured personality. She was not taking the role into her life, the role was embodying what was already happening in her mind. Living it out inwardly and now outwardly (in the studio and on the stage) ultimately took her over the edge and brought the shattered pieces of her subconscious to the surface in a way that she had been able to control in the past. She had moved away from normalization and onto the processes of realization and confrontation. For some, this emotional journey provides healing and understanding, but for Nina, the pain could not be conquered. “Black Swan” is another movie that purposely utilizes shaky camera work. I was actually a little surprised that there wasn’t a note on the theater door warning that people with motion sickness might experience some dizziness throughout the film. No matter how jarring it felt in the audience, what an appropriate choice for Portman’s Nina. An unsteady frame for a neurotic psyche.